Have you ever eaten Paella? This is not authentic Spanish Paella, but an easy version of the classic Spanish dish that is easy enough to prepare for a weeknight dinner, but delicious enough to serve to company, if desired. Traditional Paella is a rice dish that has many versions, depending on the region that it is from. Paella can contain seafood with the rice, or meat and beans and of course, vegetables, in a saffron flavored rice. I have not had the actual traditional version, but it sounds delicious. 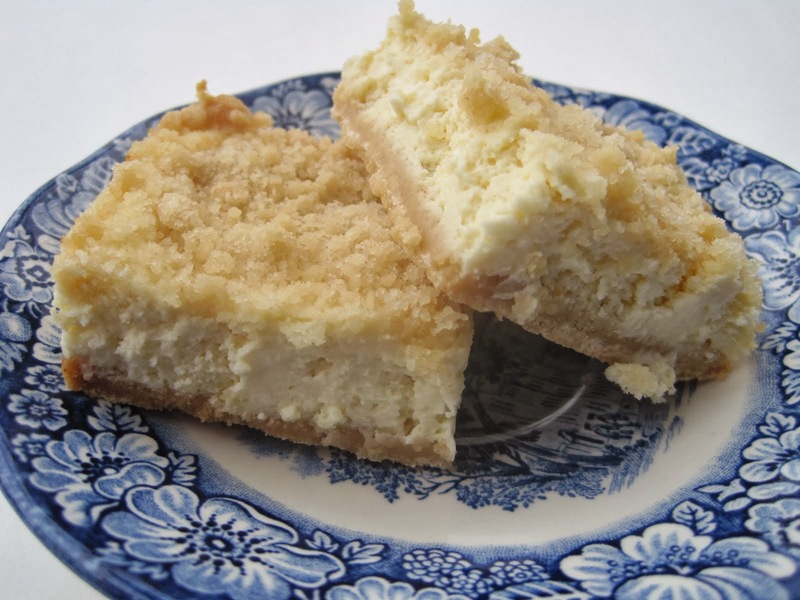 I found this easy version in a 1997 Southern Living Cookbook, and have seen other versions elsewhere, even on Epicurious. This recipe uses a saffron rice mix, that you can find by the other rices mixes in your local grocery store. I have used both Vigo, and Mahatma brands equally well. This saffron rice is in a foil packet, not a box like other rice mixes. I don't use mixes too often, as I find them too salty, but I make an exception for this dish. Sausage, chicken and shrimp are suggested for this dish and that may sound like a lot, but you actually need only about 1 1/2 pounds of meat altogether to feed 6 adults. The sausage adds great flavor to this dish so I recommend that you don't omit it. If I omit any of the meat, it will be the shrimp, and I'll substitute it with more chicken. I use the smoked sausage, but chorizo or a lean turkey sausage would also work. After cutting up the sausage and the chicken, brown it in hot oil in a large skillet and then remove it to a plate. Leave the drippings from the meat in the skillet to flavor the dish. Next you will saute the pepper and onion, if using. I used a red bell pepper, a little onion and garlic, which I forgot to show. Only saute lightly, then add in the rice mix, water and other seasonings. Cover and simmer on low for about 15 minutes. Add the cooked meat back into the pan along with peas and uncooked shrimp. Let cook another 5 minutes. I used precooked, frozen shrimp and added it at the end. 1/2 teaspoon ground red pepper- I only use 1/8-1/4 tsp. 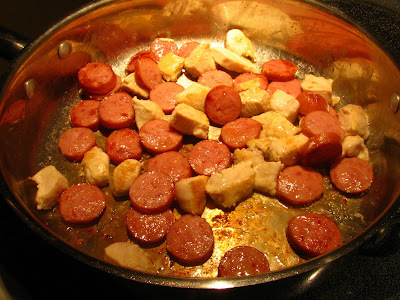 Heat oil in a large skillet; add sliced sausage and chicken. Cook about 5 minutes until browned, then remove meat from skillet with a slotted spoon to a plate. 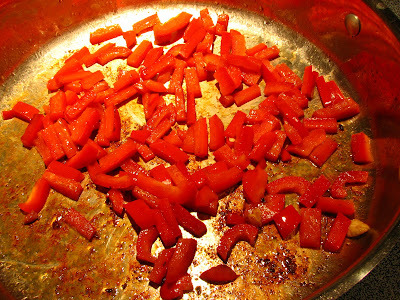 In the drippings, saute the red pepper, onion and garlic for 1 minute. Add ground red pepper, rice mix and water. Bring to a boil, cover and reduce heat. Simmer for 15 minutes. Return the sausage and chicken to the skillet along with the peas and uncooked shrimp, if using. Cover and simmer another 5 minutes or until the shrimp turn pick. I just serve it from the skillet with a good salad and some bread. I hadn't made this in quite awhile, but my daughter really likes this dish and will remind me every so often to make Easy Paella. It's one of her favorites! It is good-Give it a try! 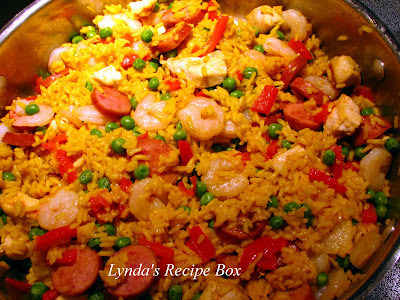 wow..love that you posted an easy version of the paella! I'm all about easy and good! Oh I LOVE LOVE LOVE Paella. It is HUGE here in Tampa..we have a large Spanish-Cuban community here. Definitely trying this. I have done paella - but it is a huge undertaking and for me summer is about being easy. Gorgeous meal - something for everyone. Wow..this looks amazing! I have never tried paella...but this is very inspiring! You make it look so easy. I've only had paella once and I loved it. Your recipe looks delicious. Nice recipe. I'll have to give your recipe a try when the paella bug next bites me. Bookmarked! That is gorgeous, I havent had it in soooo long! This is beautiful...well done and thanks for the recipe. I've only had paella in a Spanish restaurant. It seemed too complicated to make at home. But your recipe looks totally doable. Thanks for sharing! Lynda, you are killing me! This looks FABULOUS! I love paella! 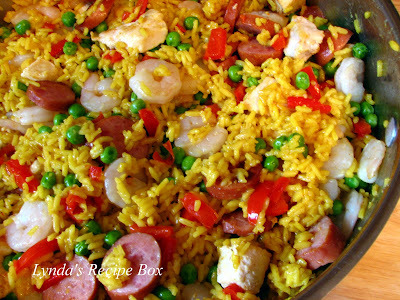 I've never made paella but this looks so good that I will have to try. I love the sausage and shrimp together. 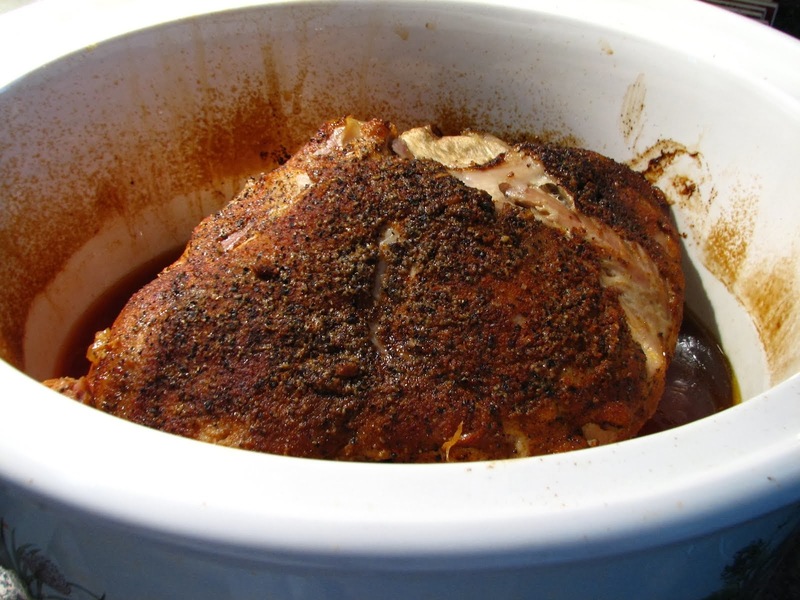 This is great for a weeknight meal since I can probably stretch it into 2 nights worth. Thanks Lynda! I've had paella in Spain and never even thought to make it at home as it sounded too complicated. 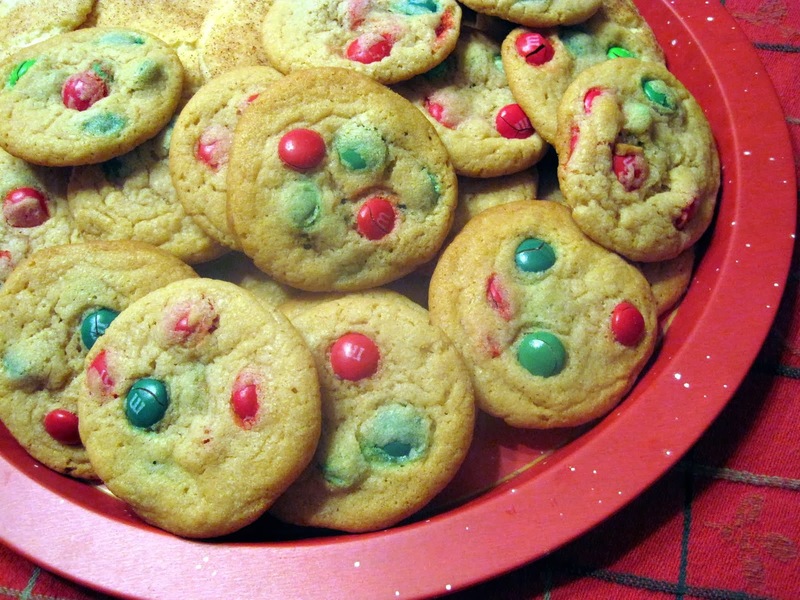 I love your easy version and it looks so colorful and absolutely delicious! I love meals like this, it looks wonderful and it only tkes 30 minutes to make! Fantastic! I love paella! What a great and easy recipe. What a GREAT looking Paella! It looks soooo yummy! I love your blog! this is to die for - love the colours!